Since the establishment of the ClassNK Research Institute in 1955, ClassNK has maintained an independent research staff dedicated to advanced maritime research. To this day, ClassNK’s expert research staffs not only engage in a wide variety of advanced R&D, but also develop technical analysis software, and provide related technical research support to organizations throughout the maritime community. 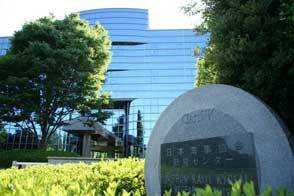 These activities are carried out at the ClassNK Research Center complex, which was built in Chiba, Japan in 1993. 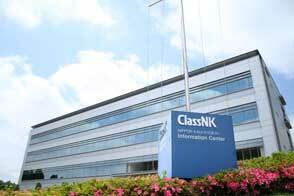 Although the Research Center initially housed only ClassNK’s research and IT staff, in1997 the ClassNK Development Department was moved to the Research Center as part of the Society’s “Rule C100” project. The project, named for the Society’s centenary which was only a few years distant, had been established with the goal of conducting a complete, rational reworking of ClassNK’s rules based on the latest and most advanced research, a goal for which the research and rule development staff would have to be in constant contact. The groundwork for the new rules was completed in 1999, and new guidelines for assessing the strength of tanker, bulk carrier, and container carrier hull structures were completed and published from 2001 to 2003. The wealth of knowledge and experience ClassNK gained from compiling these guidelines allowed the Society to take a leading role in the development of the IACS CSR, especially the CSR for bulk carriers, which came into effect in 2006. As practical research is one of the core elements of ClassNK’s mission, the Research Institute began a new program of practically focused R&D programs in 2007. In 2009 and 2010, R&D focusing on the following three major fields was conducted as the second medium-term R&D plan: large container carriers, LNG carriers, and the marine environment. In addition, in order to make such R&D even more accurate and timely in response to customer needs and to make comprehensive R&D possible, the Practical R&D Promotion Division that oversees the relevant departments was established in April 2009. In October 2016, as an improvement to the organizational structure for further promoting the R&D activities of the Society, the Practical R&D Promotion Division was integrated into the Research Institute, which is positioned at the business headquarters of R&D. Under this new structure, in January 2017, a medium-term R&D activities plan for the next five years was formulated based on the "Promotion of R&D activities" set forth in the society’s medium-term management plan. Furthermore, based on this plan, an R&D roadmap from a medium to long-term perspective was established in July 2017. As the cornerstone of the R&D activities of the Society, the Research Institute will promote initiatives that combine R&D activities directly linked to classification business and activities based on roles to be played as a member of maritime society. Through the promotion of research and development, the Research Institute strives to further enhance customer service by contributing to securing the safety of ships, protection of the marine environment, and maritime technology innovation based on advanced information technology as a social mission of the classification society.